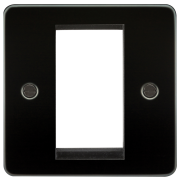 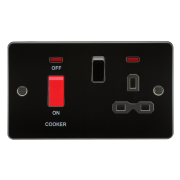 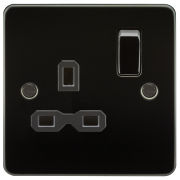 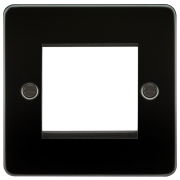 Ideal for any modern home, includes USB charging function to a single switched socket. 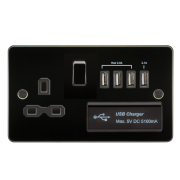 5V DC 2.1A rated. 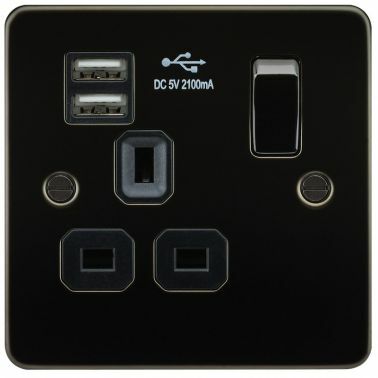 This means slot 1 could be charging your smartphone at 500mA whilst socket 2 could be charging your tablet at 1600mA.